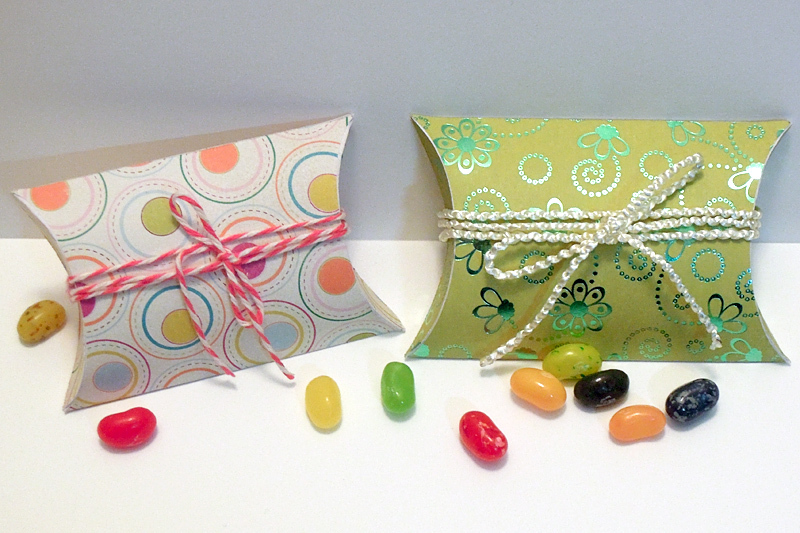 Here is a small pillow box that I made to hold jelly beans for the kids. The flaps with the notches should be folded in before the solid flaps. I did not include a file without scoring lines because of the curved score lines. The downloadis a layered svg for use with SCAL2, SCAL3, and eCAL. This file is for personal use only. Feel free to link to this post, but the file is not to be shared or distributed in any way. This entry was posted on Monday, April 23rd, 2012 at 9:06 am and is filed under SCAL, SVG Files. You can follow any responses to this entry through the RSS 2.0 feed. You can leave a response, or trackback from your own site. Thanks for sharing! Will use for Christmas treats. I think I have this but a girl can never too many….thank you again Heather. Heather,I have a new Cameo Silhouette and I spent a LOT of time on your blog today! Thank you so much for so generously sharing your time and talents. Thank you so much for sharing this file…so many uses!!! Thank you so much for this post. I want to let you know that I posted a link to your blog in CBH Digital Scrapbooking Freebies, under the Page 4 post on Apr. 24, 2012. Thanks again. Thank you! This will be good for little remembrances for special friends for Mother’s Day. I really appreciate all you have created. I would love to know how to create. Thank you so very much for this great pillow box svg file!!!! Thanks so much for the file – it will be perfect for small gifts! Thanks so much. Pillow boxes are sooo versatile!